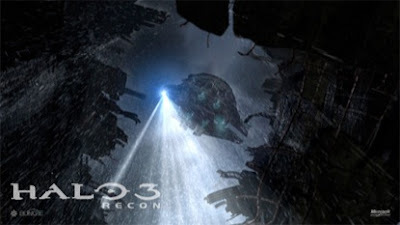 Bungie's upcoming Halo project, announced as Halo 3: Recon has undergone an official name change. Now the title will be known as Halo 3: ODST. The ODST acronym stands for "Orbital Drop Shock Troopers." A Microsoft representative gave the reason for the change was, "We decided that "Halo 3: ODST" was a better name for this title as we look to build out this new character and the story behind the title." Week 12 is officially over, as well as many NFL teams' seasons. My Seahawks have proven to be more than dissapointing, and some teams are turning heads. The Titans are no longer perfect, so the '72 Dolphins can feel free to crack open a cold one! High school graduate Matt Cassell is proving everybody wrong, and Peyton Manning just won't go down without a fight. This is really a very interesting season, giving everybody something to talk about. An important note for people to know: UnKillableBeast has changed his identity to xSgt MeatLoafx. -Finch865 was the ONLY person to pick the St. Louis Rams over the Chicago Bears, but got it WRONG. -Jerhawk was the ONLY guy to get the San Diego Chargers WRONG as they lost to the Indianapolis Colts. -Deus Legend and xSgt MeatLoafx were the ONLY people to get the N.Y. Jets CORRECT as they took down the Tennessee Titans. -Deus Legend and Stopable were the ONLY playas to get the Houston Texans CORRECT over the Cleveland Browns. -EVERYBODY that picked got the Pittsburgh Steelers CORRECT as they beat the Cincinnati Bengals on Thursday Night. So, pretty much everybody has eclipsed the 100 point mark. That's pretty cool. I wonder if we'll get to 200? The Titans are favored by 11 points. The "Ballas" Cowboys are looking to make Turkeys out of the Seahawks. They're favored by 13 points. The Bills are favored by 7 points. The Ravens are favored by 7 points. The Jets are favored by 7.5 points, but you wouldn't think that by looking at their records. 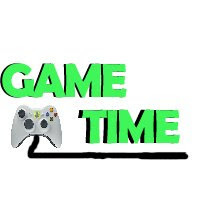 If you guys out there have any other crazy bets or gambles, please post a comment about them, I'm sure everyone will get a good laugh out of them. Also, I strongly recommend getting your picks in by Thanksgiving, since there are three games on that day. Good luck everyone, and Happy Turkey Day! Gobble gobble! Left Bumper - Makes Avatar do a random expression: depressed, apologetic, surprised, laughing, or angry. Hold Left or Right Trigger - Spins Avatar making it lose its balance. 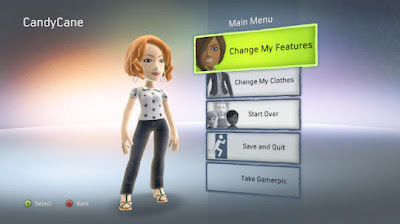 Move Right Thumbstick - Rotates Avatar's head. Move Right Thumbstick Left, Right, Left, Right - Makes Avatar angry. Move Right Thumbstick Up, Down, Up, Down - Makes Avatar happy. Rotate Right Thumbstick in a Circle - Makes Avatar dizzy. Click Right Thumbstick - Makes Avatar burp. Click and Hold Right Thumbstick, Then Move Right Thumbstick - Makes Avatar burp continuously in various pitches. Hold Right Thumbstick Left then move Right - Makes Avatar enthusiastically spin to the right. Hold Right Thumbstick Right then move Left - Makes Avatar enthusiastically spin to the left. 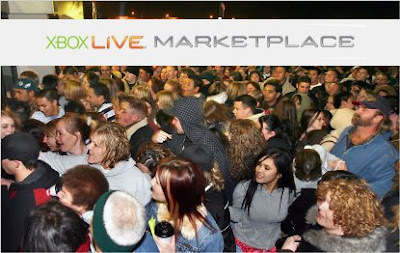 *Exclusive to "My Features" area or anywhere Avatar head is zoomed in on. Move Right Thumbstick Up then Down - Makes Avatar hit its head on the screen, making it dizzy. Click Right Thumbstick - Makes Avatar smile and wave. 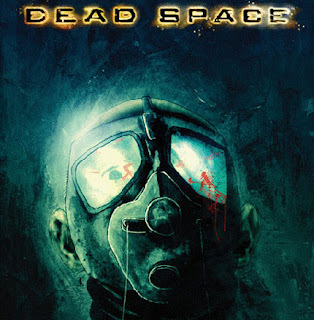 EA just informed us that a Dead Space demo will be releasing to the Xbox Live Marketplace this week. Specifically, Tuesday, November 25th. We're told that the demo will feature the use of both stasis and telekinesis abilities as well as four of Isaac Clarke's weapons-o-destruction. 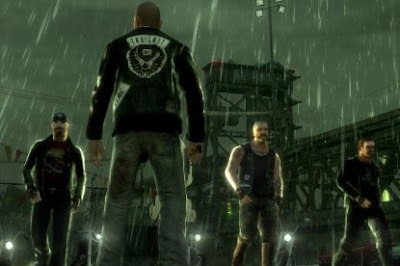 According to USA Today, the GTAIV "Lost and Damned" episodic DLC will release on February 17th, 2009 and feature main character Johnny Klebitz who's a member of the Liberty City biker gang "The Lost". 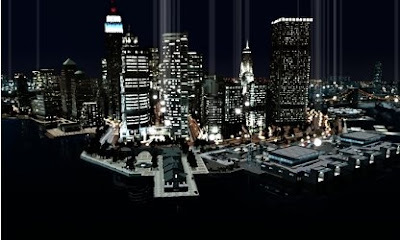 Rockstar VP Dan Houser describes Johnny as "a very different character than Niko, with a very different background" and promises that "the story will show you a different side of Liberty City." No other story information was revealed and pricing is still not finalized. I suppose somewhere around 1600 MSP or $20. Codemasters has announced it is to release a sequel to Colin McRae: DiRT, the highly acclaimed off-road racer that lit the dawn of the current generation in 2007. Dubbed Colin McRae: DiRT 2, the game will retain the name of the late Scottish rally driver who fostered the series from its roots on the first PlayStation before his untimely death prior to the release of DiRT. "Colin McRae was all about the speed, the excitement and the entertainment of rally driving," said the game's executive producer Gavin Raeburn. "Later his showmanship shone through in events such as the X-games, the Dakar Rally and the Race of Champions. He could do things with a car that no one else would and that's where we're taking the series with new events at the extreme edge of rally and motorsport. It will be a great tribute to an incredible champion." 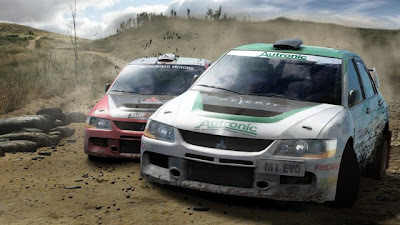 Exploring various disciplines of off-road racing, Colin McRae: DiRT 2 will utilise an enhanced version of the EGO engine that was last seen in the impressive looking GRID, and will feature comprehensive online modes that promise to be a marked improvement over those in the original. Need for Speed Undercover Mixed Reviews? Need for Speed Undercover is a poor game with a ton of problems, both technically and in terms of design. The open world design is completely lost as you can't actually drive to any event, many races are closed off which means no cross traffic, and it's incredibly easy. The presentation could have been good but winds up feeling totally contrived and confusing at times. The game could, and should, have been leaps and bounds better than it is. As it stands, though, there's absolutely no reason to pick this up over the likes of Burnout Paradise or Midnight Club: Los Angeles, both of which demolish it in every way possible. The cutscenes don't work as well as intended, it's way too easy and the open world setup is almost completely pointless. The cars don't look all that great and the city is lifeless. It also doesn't run as well as it should. The engine effects are great, though they could be mixed better. The soundtrack is decent, though it isn't used too often. Why is this game set in an open world? You can't drive to events or find anything, so what's the point? It's also way too easy. The online stuff works, but it's very basic and will get old after a while. There's a decent number of events, but it just isn't any fun. No matter where the NFS franchise takes gamers, one thing has held steady throughout the journey: These racers are only as good as their core engines. While Need for Speed Undercover delivers in the areas of cinematic production, audio, visuals and through its sweet vehicle roster, it falls a bit short in the realm of top-tier, arcade-quality handling models. Need for Speed Undercover is still worth a serious look due to its overall thoroughness, but those looking for sheer circuit mastery by something other than raw horsepower numbers should probably give Need for Speed Undercover a rental first before deciding if to steer clear of its sneaky ways. Great po-po AI, but it’s tough to do any fancy driving to evade them with the suspect handling engine. Excellent cinematic production values. Helped along by items plucked from ProStreet. Frame rate is solid in most cases. Unreal vehicle sound effects to go with the authentic CB chatter. A good vehicle lineup and unique online modes add additional length to this racer. Wheel-to-wheel fun that doesn’t quite raise the bar. 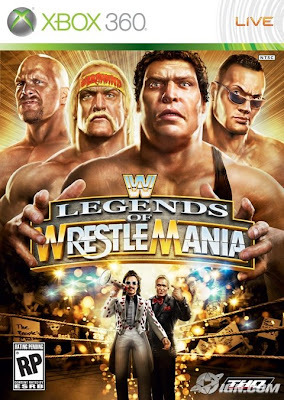 Legends Note: Look like this game is getting mixed reviews, you know what that means...RENTAL!!! Left 4 Dead Demo Raffle Winners!